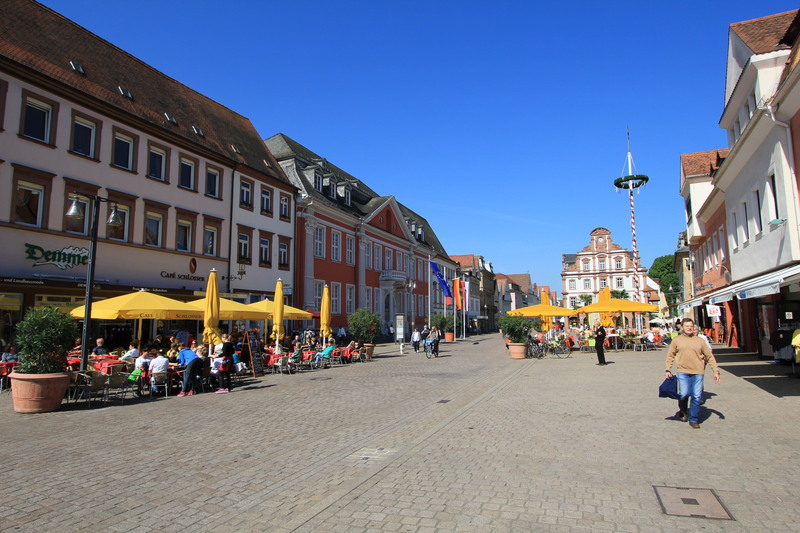 Speyer is located about 20 minutes south of where we live in Ludwigshafen, and was settled about 5000 years ago by early nomadic tribes. 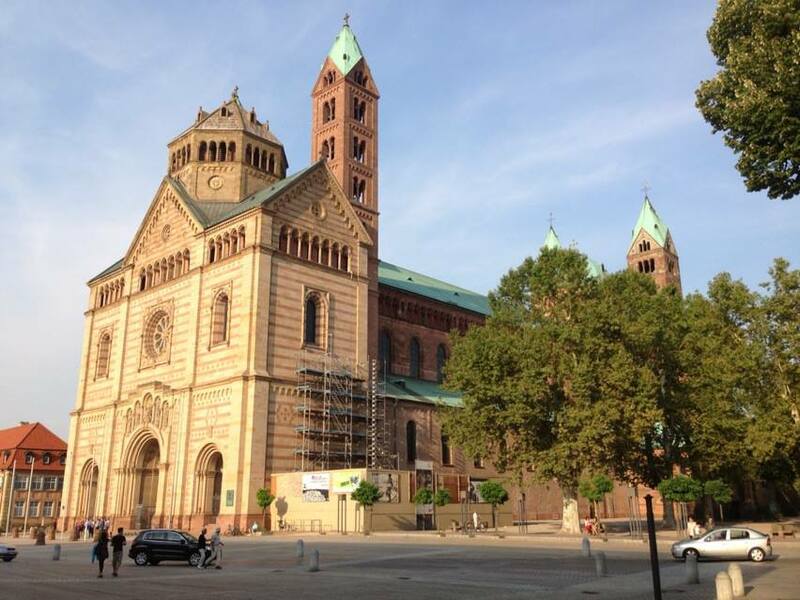 In about 10 BC, Speyer became a settlement as part of the Roman Empire. As with this part of Germany, the Rhineland-Palatinate area has been settled numerous times between the Romans, Germans, French, Swedes, Spanish, and eventually back to the Germans. This region of Germany also saw turmoil between the Catholics & Protestants during the Thirty Years War in the mid 1600s. 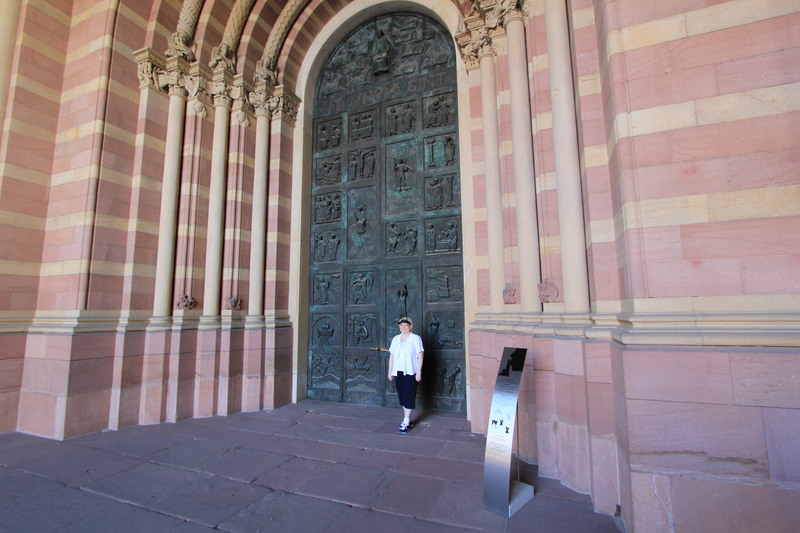 The result of all this historic turmoil created this beautiful city which is an easy day trip from Mannheim, especially if visit here first before heading over to Heidelberg. 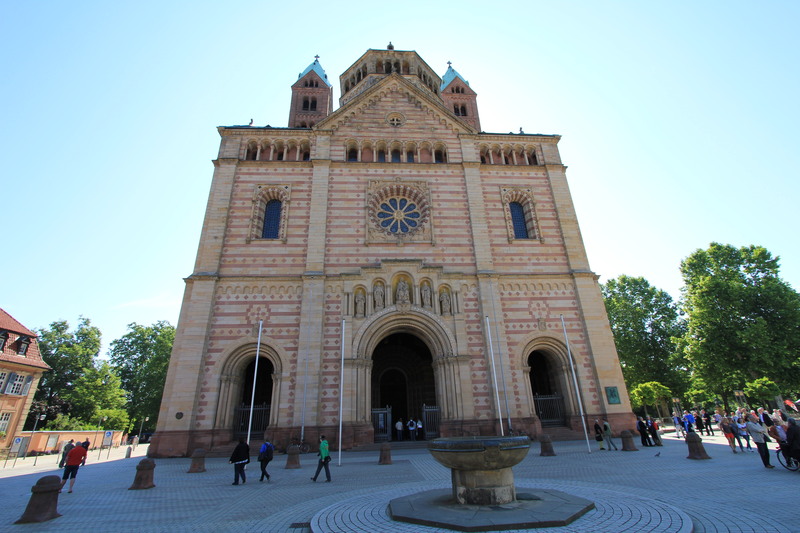 The catholic Speyer Cathedral, the most visible landmark in Speyer. 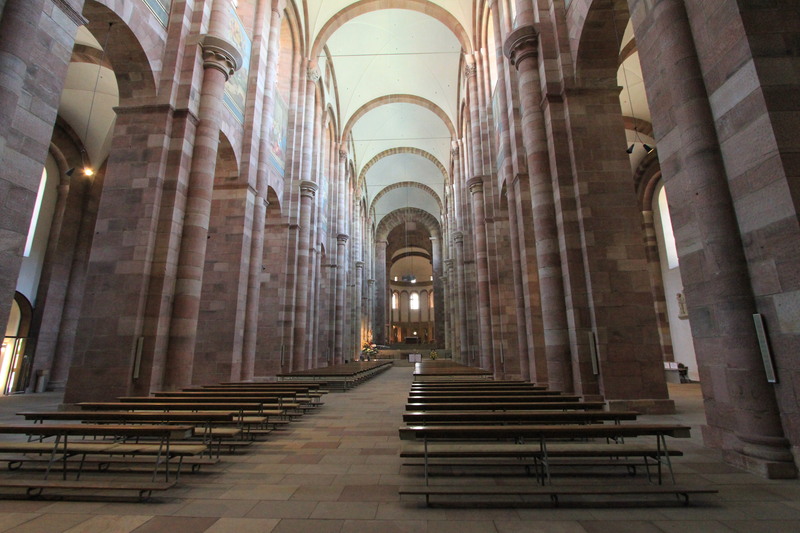 Begun in 1030 under Conrad II, the imposing triple-aisled vaulted basilica of red sandstone is the largest Romanesque architecture-style church. 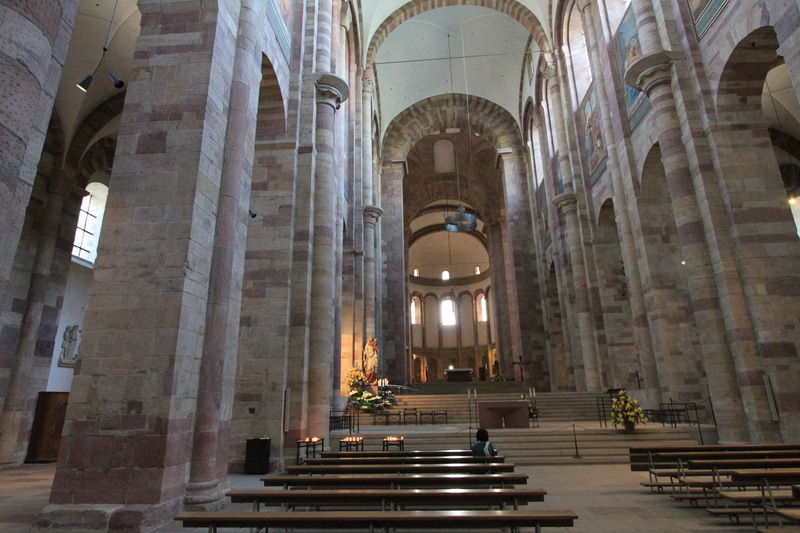 In 1024, Conrad II commissioned the construction of the Christian Western world’s largest church in Speyer which was also supposed to be his last resting place. Construction began 1030 on the site of a former basilica which stood on an elevated plateau right by the Rhine but safe from high water. 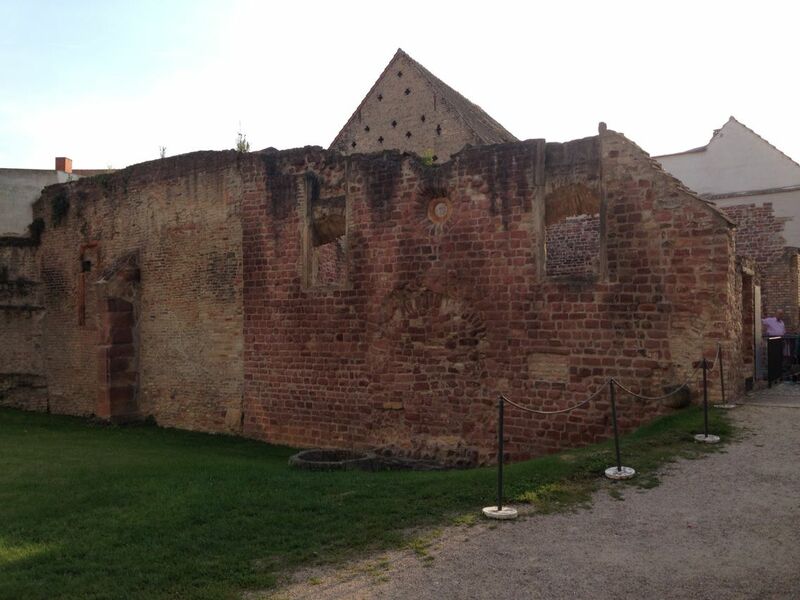 Speyer was also home to one of the most important Jewish communities in Middle Ages in northern Europe. 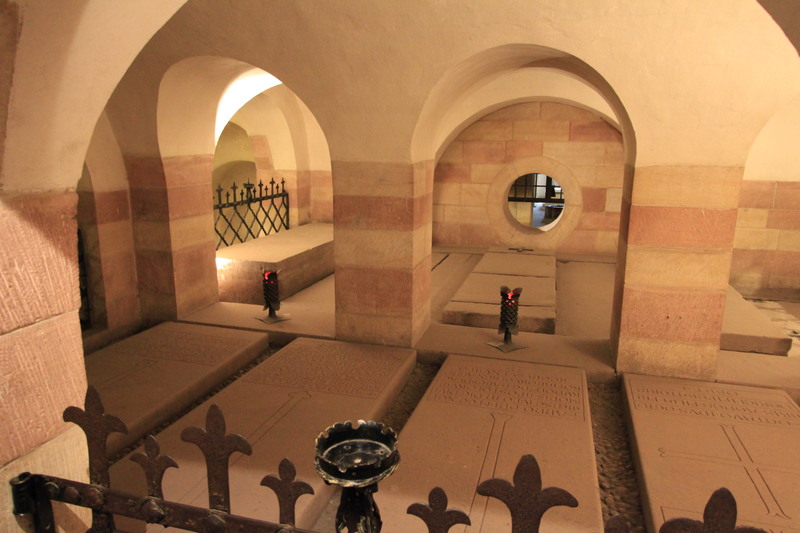 Bishop Hutzmann and Salic emperor Henry IV encouraged Jewish refugees from Mainz to the Jewish community. This community existed until the beginning of the 16th century. The exact time and circumstances of the destruction are unknown. The Jewish courtyard was the central area of the Jewish quarter in Speyer and consisted of the synagogues for men and women as well as the Jewish Bath for ritual washing. 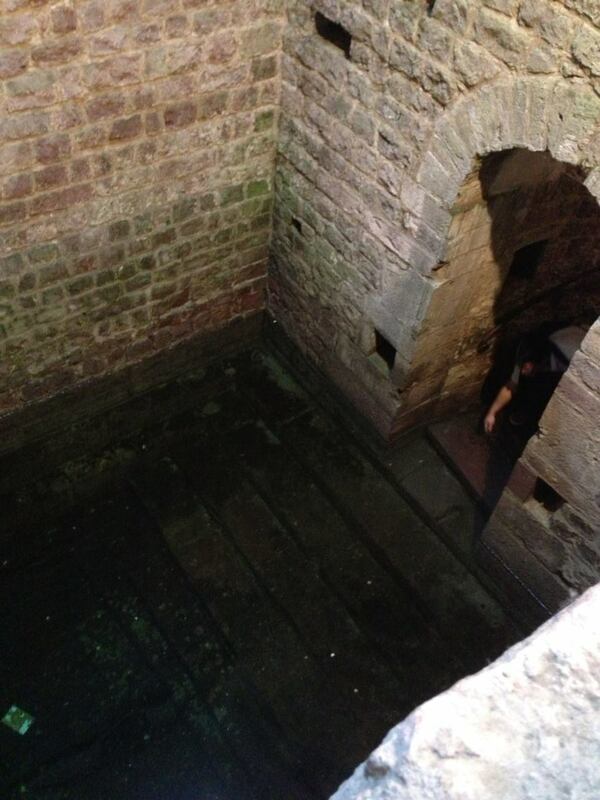 View of the downstairs of the bath. The first documented mention of this was in 1126 and its subterranean components have been nearly unmodified for centuries. The main street of Speyer has beautifully decorated buildings of shops and cafes that get very busy on Saturday afternoons. 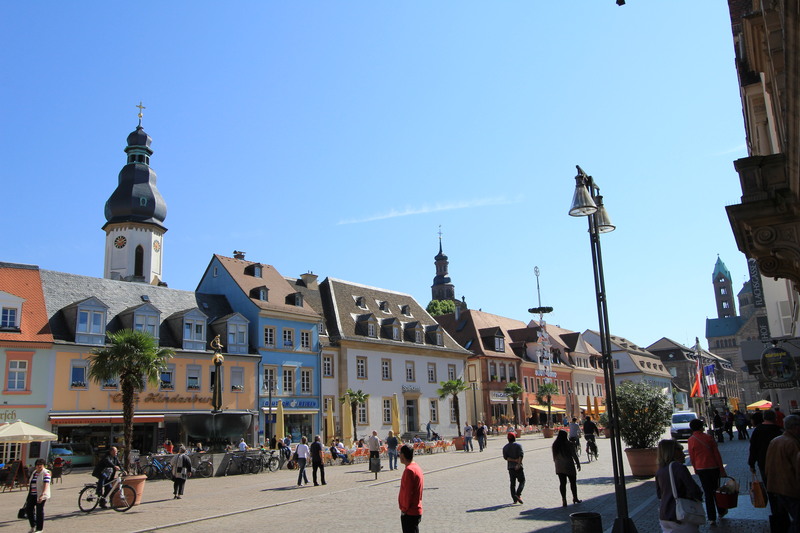 Next: Next post: There Is a lot to Love about Worms, Germany – and it is more than the city’s name….